Given the amount of time and energy you probably put into planning your own wedding or that of your loved one, you’ll want the memories from that special day to last a lifetime. What better way to do that than to take advantage of professional Video Disco services to personalize your wedding or wedding anniversary party in a way you can never forget? Video Disco services can help you in two ways. Firstly, they can add a festive element to the event itself, helping everyone to stay engaged and excited about the party and all of the wonderful people attending. Secondly, including these services at your wedding can serve as a fun way to record all of the beautiful details of the evening, leaving you and the bride and groom with a filmed summary of the special night and all its magic. What is a Mobile Video Disco? A Mobile Video Disco is a type of party that includes any of several types of video services. One of the most common forms of this type of party includes one or more projectors placed throughout the event. These projectors can display video or images on any large, flat space or directly onto a white screen that can be provided for you. In addition, television sets can be set up throughout the venue to assure that everyone has the opportunity to see and be involved. At a Mobile Video Disco, whatever video you like can be displayed around the venue! You can choose to show off mood-setting imagery, such as psychedelic images of lights or colors, or to have music videos synched up to your DJ’s invigorating playlist. If you have included karaoke in your night’s planned activities, the lyrics to all the songs can be displayed on the various screens and TVs set up throughout your Mobile Video Disco Wedding. To give your wedding a more personal touch, you can construct your own video or photo slideshow to be shown throughout the night, reminding your guests why they have all gathered together that evening. If you like this option, make sure to include plenty of photos with your friends and families to let them know how grateful you are for their friendship and attendance at your wedding or wedding anniversary. Another option is simply to let the videographers stream their video live throughout the night onto various screens. This is a great way to keep good energy flowing throughout the night, as your guests will be motivated to engage as they see their peers doing the same thing. An added bonus of this option is that, after the event has finished, you can keep the video streams as a record of the night, creating your own condensed version of the festivities as a keepsake of the wedding! Professional videographers like City Nights Disco can help you compose a great video collage of your wedding party. A Video Disco Party can include any number of elements that will make your wedding exactly as you always imagined it. Try adding in special effects, like a smoke machine or special lighting, to really give your wedding the feel of a festive event. 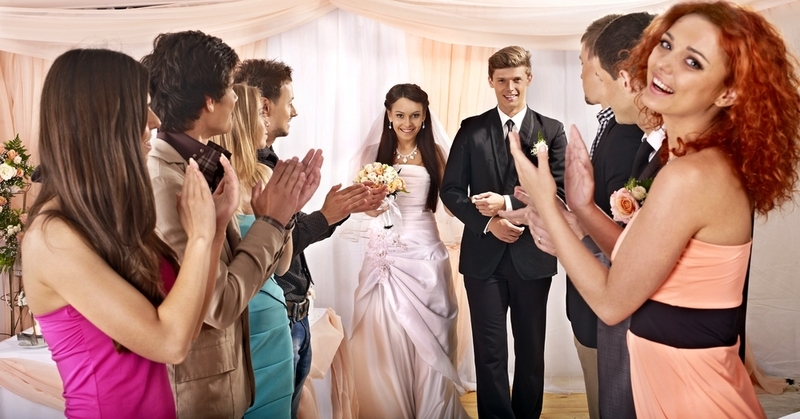 Think about including activities like karaoke to keep your guests laughing all night long. Making your wedding into a Mobile Video Disco is a sure-fire way to have a great party and record the many small details that will make it one of the best nights of your life. Professional party services like those offered by City Nights Discos can help you organize all of these aspects and have the wedding you always hoped for.